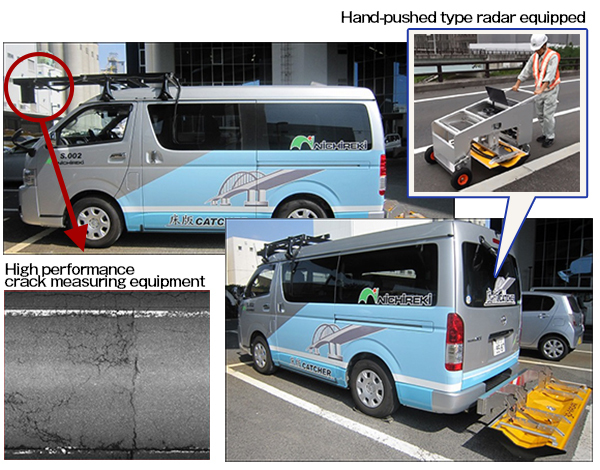 The SHOBAN CATCHER is a survey system utilizing electromagnetic wave technology which non-destructively identifies the range and depth of damage locations on the top surfaces of bridge deck plates. 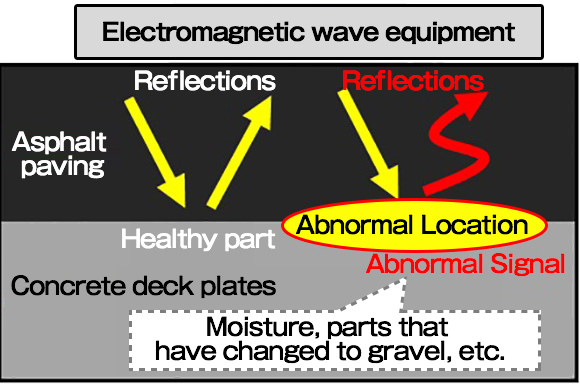 Electromagnetic waves have a property of reflecting from boundary surfaces which have different qualities (electrical natures). 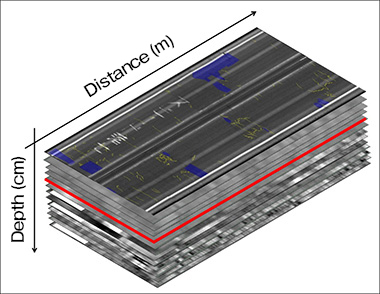 By converting the reflection times to speeds, the depths can be estimated. Additionally, if there are boundary surfaces with different qualities in close contact, a strong energy reflective wave will be created. 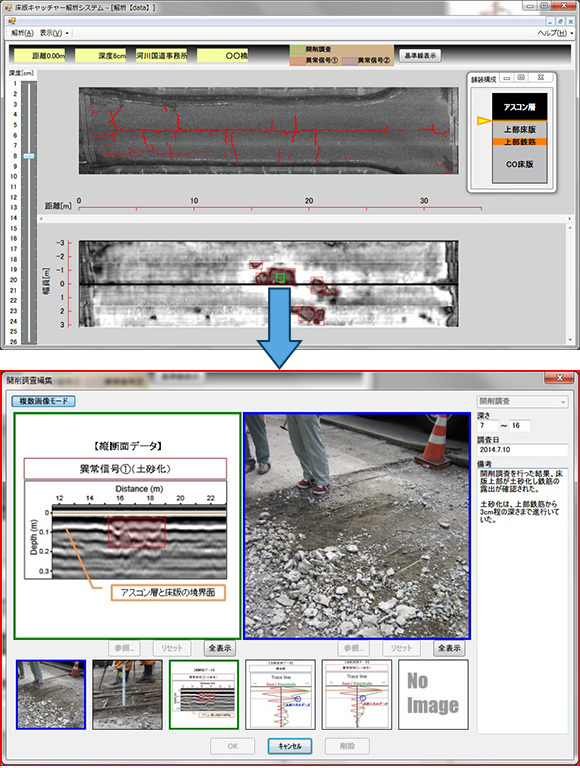 In the SHOBAN CATCHER, the health of the deck plate top surfaces is judged from these reflected waves. 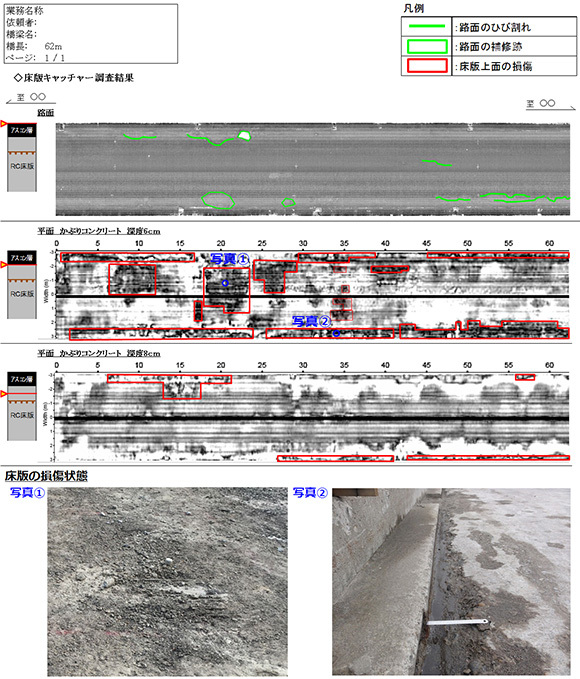 The following items can be understood from SHOBAN CATCHER surveys. Additionally, from the survey results, the following outputs can be created. The survey data can be referenced using the previewing software as follows.